GESTÜT GUT ALEMICH is situated on the Top of a wooded hill surrounded by 22 hectares of fenced pastures. The manor house, build in the 16th century is classified as a historical monument. 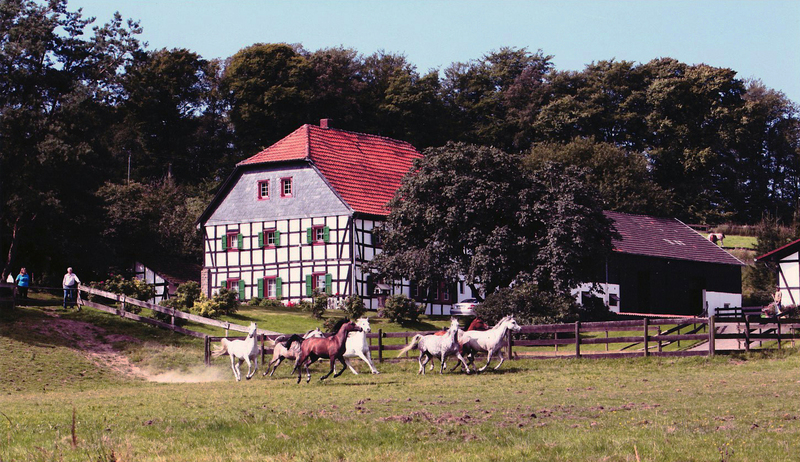 Close to the very active city of COLOGNE, we found an ideal place to establish our stud farm for ARABIAN HORSES. Beside the main house, there is an indoor arena, 5 sand paddocks and 62 box stables as well as two barns. At the first TERSK auction in 1970, the most important purchase was the Aswan son KILIMANDSCHARO. This stallion had been deliberately selected by the Russians as a kind of equine ambassador, to demonstrate the quality of their stock. 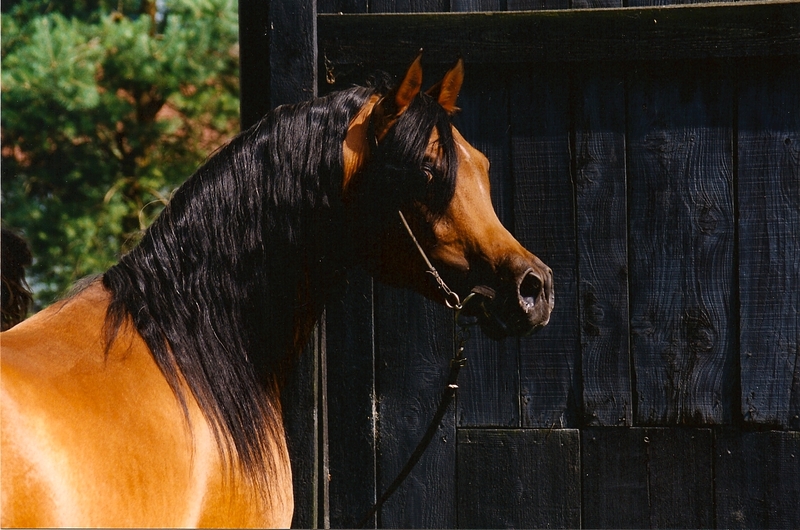 After he received the Gold and premium title of the German Stallion license, and added the Champion title of the WAHO Show, he became one of the most used sire in Europe at that time. KIIMANDSCHARO was the beginning of a great passion. Each year we went to the Russian State stud TERSK and bought several fine mares at the public auctions. We have been lucky to discover the stallions NEMAN, later named "The Great Producer" and the multi times Champion NARAV IBN ASWAN. NEMAN was the sire of WORLD-, EUROPEAN - and NATIONS CUP CHAMPIONS. Later on we found suitable fine mares from the state studs of Poland, JANOW PODLASKI and MICHALOW for our breeding program. 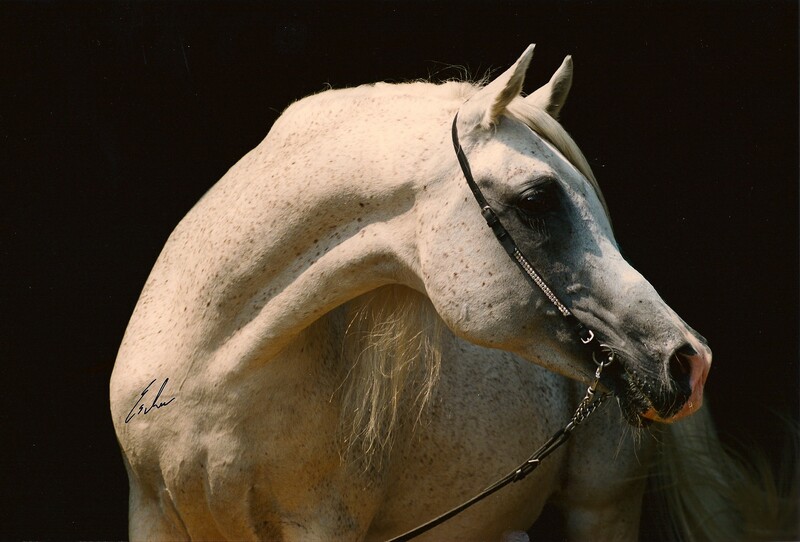 Since over 40 years we breed Arabian Horses with the finest bloodlines of the state studs. Our foundation horses descend from those world famous bloodlines. The offspring at GESTÜT GUT ALEMICH has been exported to many countries worldwide. Beside EUROPE to USA, Australia, BRASIL, ARGENTINA, UNITED ARAB EMIRATES, LIBYA and SAUDI ARABIA. The stud is hosting 35 Arabian Horses at this time. NAGADIR (NEMAN - NESCHI by KILIMANDSCHARO) full brother to tree European Champions is the most used sire at Alemich, followed by his son KOHINOOR out of KORONA (KORONEC by KUBINEC - Miss Ambernado by MARSIANIN). In those pedigrees one can find the best RUSSIAN bloodlines, and this genetic strength is the key to the high quality of the breed. The highlight of many successful years as one of the leading breeders in Europe was to receive the title ELITE from the German Arab Horse Society for our stallions KILIMANDSCHARO, NEMAN and NARAV IBN ASWAN. Further on the much treasured and very exotic mares NESCHI, NEVADA, NASHA, MENASCHA, NEPOSA and MARENGA were also crowned with the title ELITE. To name the highlights, Silvia judged the WORLD CHAMPION Salon du Cheval Paris, EUROPEAN Championships, and ALL NATIONS CUP Arabian Horse Show, LAS VEGAS GOLD CUP - USA, MENTON Championat Mediteranee. One great honor the POLISH NATIONALS in Janow Podlaski. Arabians Gut Alemich © 2019. All Rights Reserved.